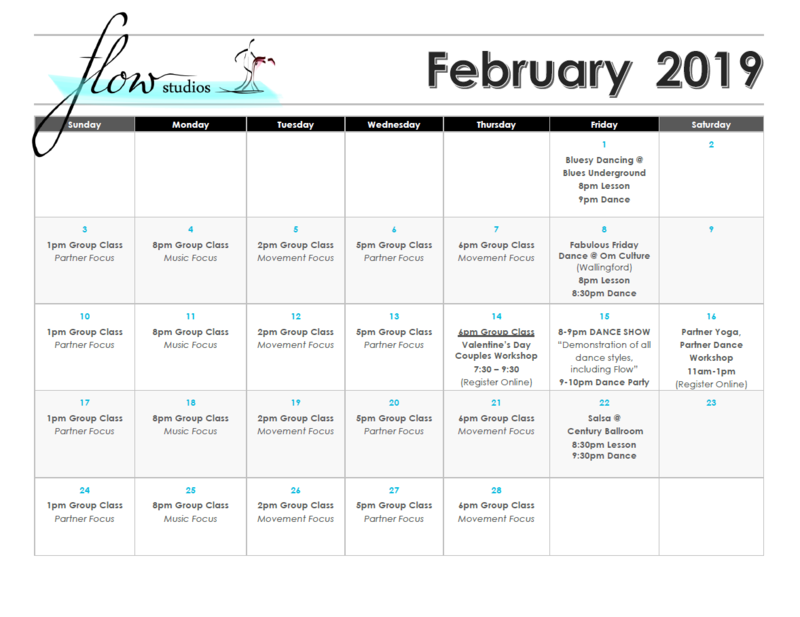 Feb 15: Dance Show @ Flow Studios! Show starts at 8pm. Dance party afterwards. If you have a Friday night venue in mind, let us know! 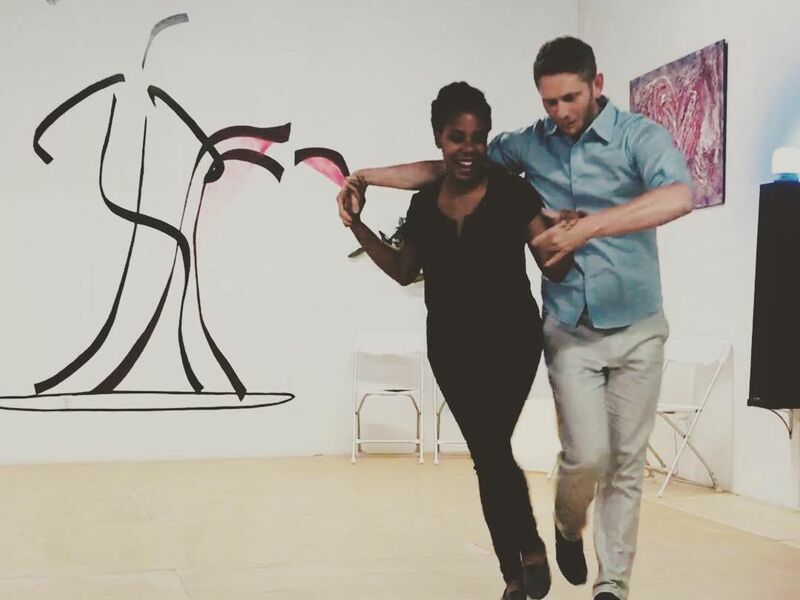 Valentine's Couples Date and Intro Dance night! Hannah will spend the first hour with a brief teaching and provide space to explore your connection as a couple. 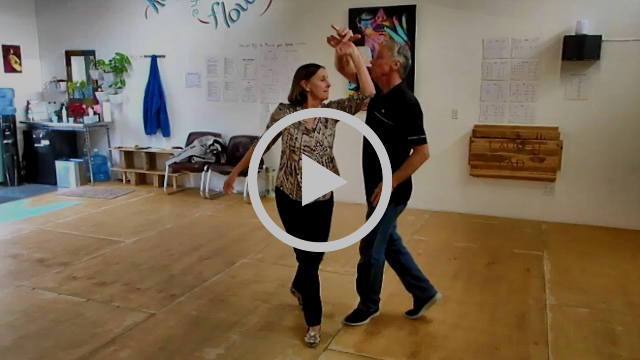 We will then dive into a basic dance lesson to connect through movement and music. Dance provides an incredible metaphor to experience and strengthen your relationship. This workshop is catered to new dancers, but all experience levels are welcome. This workshop cultivates mindfulness and embodies physical communication. You will stretch, flex, dance, and guaranteed, laugh. Both Partner Yoga and Partner Dance help strengthen relationships and mindfulness. Each partner will have to step outside her/himself to connect and collaborate with the other. All experience levels will thrive, from novice to advance. Dance that Song! 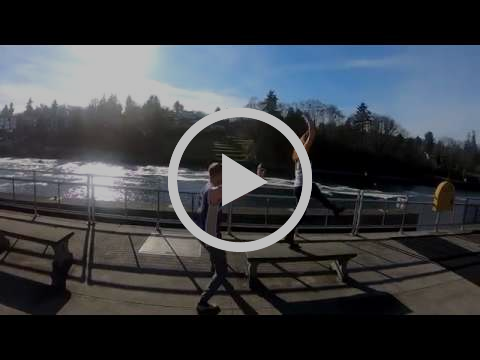 Episode 19 was shot at the Ballard Locks in Seattle, featuring Lauren Bangasser. Paul's New Year's resolution for last year was to learn something his wife would enjoy. Susan had taken up golf a few years before so she could play with him, so he thought he’d find something to reciprocate. He also had a separate resolution to do something that would get him out of his comfort zone. As fate would have it, he came across an article in the Sunday Seattle Times featuring a new dance studio….Flow. Fast forward to today…..they “simply enjoy learning and continuing to improve”. Michael is big part of that equation. Susan met Paul in 1974. She first saw him at a touch football game where she went to watch some friends play. There was this new guy playing who she thought was really cute. They were introduced a few days after that at the bar, where Paul was working as a bartender. Both Susan and Paul are retired! Susan was a librarian, and Paul was President/CEO of Precor fitness equipment. He always believed that life is about experiences, not things. That translates into taking good care of himself physically and spiritually to fully enjoy the things he loves to do. Susan, in addition to having two black belts, took tap and ballet as a kid, and also participated in social dance classes on cruises. Their passion for physical fitness has transferred to having fun learning how to connect with partner dance. Susan and Paul practice dancing in their family room. He likes the fluidity of the waltz and the fun, spontaneity of the blues. Susan likes it all. They both have committed to pushing through the challenge of learning to flow as lead and follow. Check out their flow below! 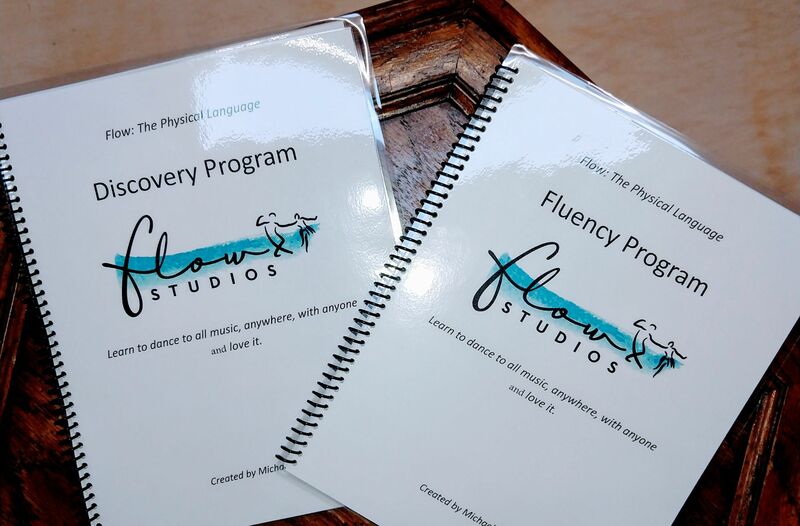 Your journey in becoming fluent in Flow is now in print! Use the manual to organize your training and to learn and play at home. Get yours at your next private session. It makes me think of Rosecrans Baldwin’s distressing GQ story from a few weeks ago about “L.A.’s Cult of Betterness,” where at the end he finds comfort and release at an Ecstatic Dance gathering there. Maybe instead of lunch breaks we could have a dance breaks. 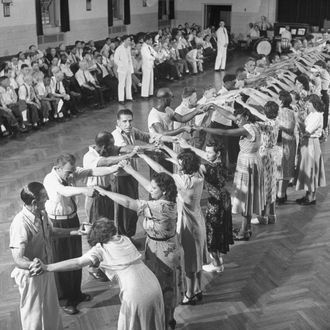 The dances would be synchronized, and everyone would be required to have fun.